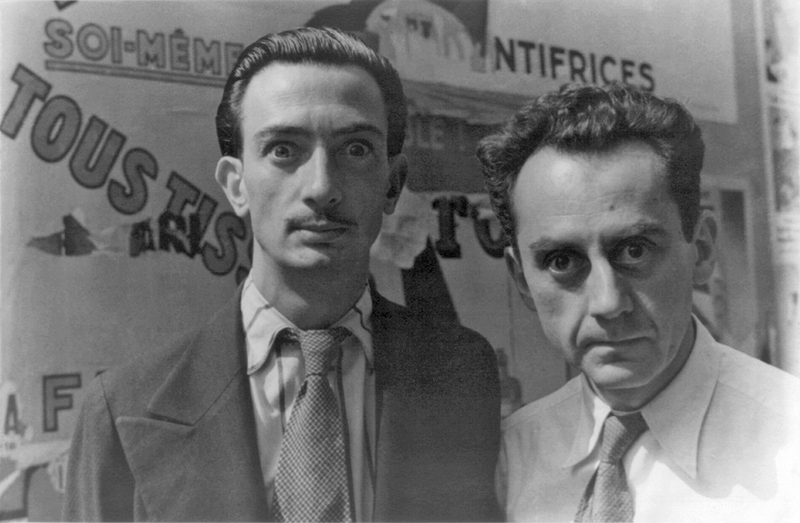 Salvador Dalí and Man Ray (1890–1976) in Paris, on June 16, 1934 making “wild eyes” for photographer Carl Van Vechten. Source: Wikipedia. Click to enlarge. Man Ray’s career is distinctive above all for the success he achieved in both the United States and Europe. First maturing in the center of American modernism in the 1910s, he made Paris his home in the 1920s and 1930s, and in the 1940s he crossed the Atlantic once again, spending periods in New York and Hollywood. His art spanned painting, sculpture, film, prints and poetry, and in his long career he worked in styles influenced by Cubism, Futurism, Dada and Surrealism. He also successfully navigated the worlds of commercial and fine art, and came to be a sought-after fashion photographer. He is perhaps most remembered for his photographs of the inter-war years, in particular the camera-less pictures he called ‘Rayographs’, but he always regarded himself first and foremost as a painter. You are currently reading Man Ray Quotes at IvyU.